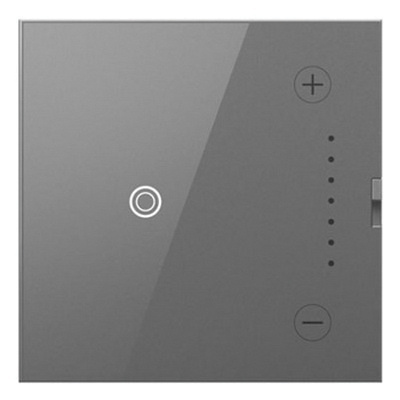 Legrand Touch™ Tru-universal Wi-Fi ready master dimmer has voltage rating of 120-Volt AC. Dimmer in magnesium color, features innovative snap-in system for easy installation. It is suitable for use with incandescent, halogen, MLV, fluorescent and ELV, CFL and LED bulbs load. It measures 4.2-Inch x 1.77-Inch x 1.79-Inch x 4.185-Inch. Master dimmer operates at temperature range of 0 to 50 deg C. It is suitable for installing into an existing electrical box and wire directly to the light. Wi-Fi ready master dimmer is cULus/UL listed and FCC approved.